Freshers week is finally here, and the stall is all set up! 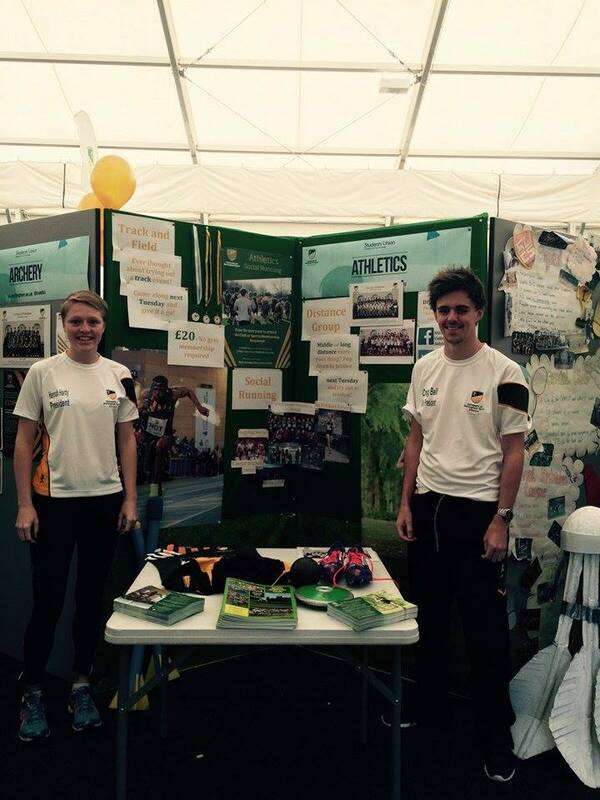 Come and find us on Wednesday & Thursday, 10-4pm in the sports centre. We also have an outdoor area featuring some foam javelins, long jump & a leaderboard for the course of the event (Wednesday 3:00-3:30, Thursday 11:30-12:00)! We look forward to seeing lots of new (and old) faces! Categories: Uncategorized | Tags: Cross Country, Field, Freshers, Javelin, Long Jump, Recreational, Social Running, Track, University of Nottingham Athletics, Welcome Week | Permalink.